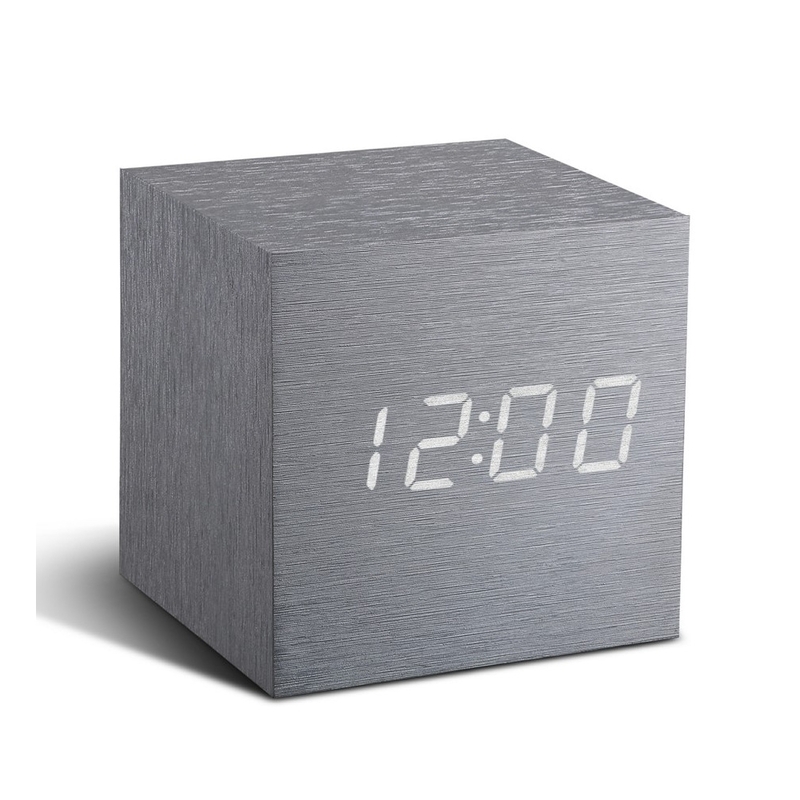 This smart and stylish White LED and Aluminium Cube Alarm Click Clock by Gingko is a clever multifunctional design. It can be used as a desk, mantel or alarm clock and is sound and touch activated for convenience; simply click your fingers, clap your hands or tap on the top. The clock displays the time, date and temperature alternately and will automatically disappear after 20 seconds, or can be put on a permanent time function. A wonderful addition to many modern homes, the Gingko alarm click clock would be a thoughtful housewarming gift idea.